This August you can enjoy two delicious courses from just £11.95 with our wonderful set menu*. Our seasonal star this month is the cherry, and our executive chef has woven this versatile fruit throughout all three courses. Start with cool, creamy goat’s curd with pickled cherries & toasted croutons – a match made in heaven which we absolutely love. For your main, indulge in our succulent slow-roasted duck leg on a bed of light & tangy curly endive salad, finished with our zingy home-made cherry vinaigrette. 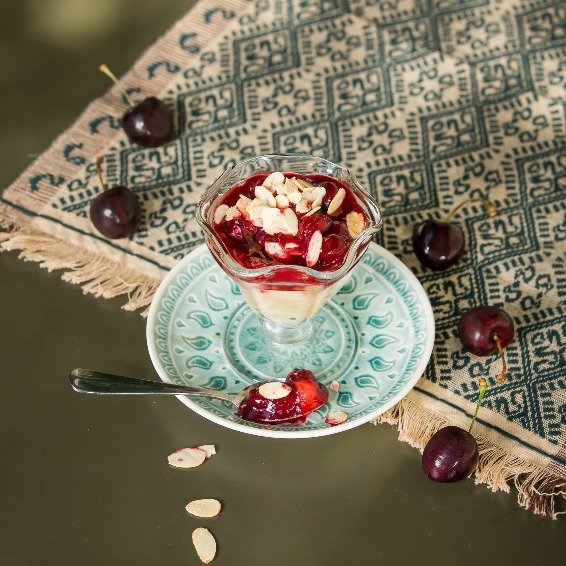 Round off your meal with our sweet & sour cherry & Bramley apple compote topped with crunchy frosted almonds, it’s a must try. *Set menu available from £11.95 at selected times and dates at different BB restaurants. Please check exact details on your preferred location pages. Not available at Threadneedle Street or Hale Barns.